We share an understanding of our understanding of the local geology while living and working in the Mojave Desert of California. We what to share a side passion of ours, show how geology can and is fun and you do not need to be a geologist to enjoy discoveries like we do right from our own back yard. This is our geology journey about what we do in the Yucca Valley, the Morongo Basin when we are not designing or making American products. This document is through the eyes of two designers and machinists who are best friends, it is a part of what we are surrounded by that keeps us here in Yucca Valley. We are hobbyist regional geologists and love the topic of minerals, elements, stones, metals, natural and man assisted (smelt alloying of elements) in the making of the metals for the products we precision machine at Active Atom. Many periodic table minerals formulated into natural stones and crystals that are scattered about this massive desert floor, a floor that visually appears to continue on for farther then the eye can see and that is because it does. For a frame of reference we utilize the metallic elements as do the metal foundries that supply the American Made Metals to Active Atom in the machining and making of our products, so it is important to the two of us that we learn, research, explore and obtain the best understanding for all of the elements that go into the making of our precision machined, hand finished and assembled products. Respecting the minerals and elements that make up our lives. How can man do something in his best capacity if he does not know, understand and continually gain knowledge of how these things work or come together? The mountains, clear skies, natural untouched desert (little to no human involvement) that surrounds us also affords us the ability to see the natural rock formations, outcrops, the beautiful water runoff areas named alluvial fans. We see from the great past geologic weathering and we are able to study the layers of dried up compacted sedimentary materials, referred to a conglomerate (when not raining) within the Alluviums. Alluviums are like a geological road map of sediments built up over great geological time even centuries if not millennia’s creating sedimentary rocks, calcrete and loess, cementing the early to current and continuing deposition of materials. These layers are secured in time for us in the future to study and explore, and yes you too can make your own discoveries when visiting a desert. All of these features we describe of geology in this document, including locations, natural environments are things not commonly available to see in many places and this is due to this natural untouched, violently created, heavily weathered area we call home. There is the process term from geology, metamorphism, it means that when rocks are heated (not melted) through exterior temperatures or contact pressure. This geologic process causes rock to deform or reshape and then cool, when discovering a metamorphic rock this leaves an explorer to imagine through visual study the signature of this process and what it leaves in different materials such as colors and lines of twisting pushing, capturing minerals and the stretching of these layers of rock that are so often featured in plain site for us to discover and study right here in the high desert. Would you like to be a discoverer in the Mojave Desert? Do not be afraid of the Wild West desert. Do not be afraid to explore. Do not think you need to be a geologist to learn about the natural desert. Do not be afraid though be cautious of critters when exploring. Do not be afraid to get a little dirt under your nails. Do not be afraid to question everything. At Active Atom we have shared how much we are driven to know the minerals and the elements with you. We explained that we are at best hobbyist geologists with a need to know about and understand how the geology processes work and understand which minerals and elements go into the products we machine here at Active Atom. If you are an explorer like us, know this, that while neither of us might not know all of the fancy geology jargons remember this, you are not doing geology for a living, so fear nothing when exploring, it is fun, it is rewarding, it is exciting and remember it is after all, spending time with others, outdoors having fun exploring and discovery. Remember to always take a picture and mark a map of the location of the discoveries you unearth, and please share them, we love this stuff a lot. There are two rock shows and sales held in the neighboring area to Yucca Valley an area named Joshua Tree and there is a place named the Joshua Tree Sportsman’s Club and for a few days in April and a few more days in October they hold a great event a place to see and learn all about rocks, you can touch them hold them even buy them this is a wonderful place to get an education of interdiction to rocks minerals crystals and unusual tools of the rock world. Now let’s break down what you are seeing from the world of geology in the California Desert to make this exploring a whole lot less intimidating. Minerals make up everything, there are less then 4000 inorganic minerals and while this list grows every year, they are nothing to be afraid of or needing to gain great knowledge in all of them to make discoveries. 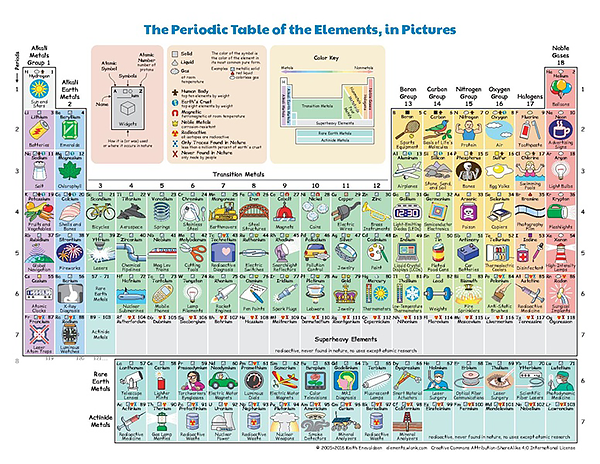 Elements that make up the whole of earth has 118 elements in known existence currently, new ones are added very slowly mostly very rare and exotic new ones you are likely to never experience in a non-science lab setting. Minerals are classified into either one of the seven chemical groups with associations from the elements table and then they are additionally refined into to one of the six crystal groups. Rocks the things we are encouraging you to explore while in the Mojave Desert region occur globally in only 3 type classes named the rock cycle. 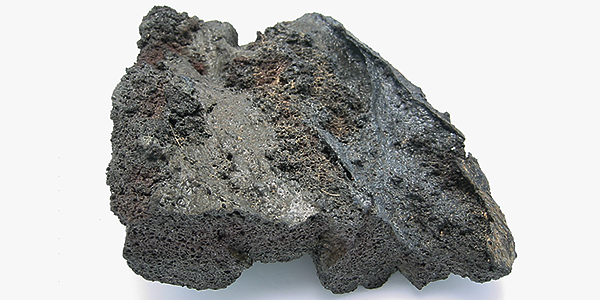 Igneous – Formed by fire, magma formed. Metamorphic – Caused through heat and pressure. Sedimentary – Created by water, wind, ice weathering in layers through pressure, this occurred through cementing and weight compacting. Mineral bonding creates rocks through crystallization. Here below we discuss two areas of geological importance to Lance Conway and Patrick Lara, in part because we are surrounded by a very active fault line series and a lot of resent (in geological time) more geological activities like volcano’s, floods, and earthquakes have occurred all around the area we live within. Why the metamorphic process is so important to a hobbyist geologist is because the crystal formation through geothermal, external heating and pressures provide us a chance to locate a new discovery, after a lot of hard digging and other topographical research work. What we really seek is the discovery of hidden outcrops, these are formed by thermal pressure and tectonic activities that push upward (we hope) quartz and if lucky enough that the quartz crystal minerals trap other minerals, elements, as quartz crystals do not blend so well with minerals, but rather the crystals grow and can encapsulate minerals protecting them for us to more easily discover at a future date. Quartz rises during crust pressure generally by magma pressure, tectonic movement and geothermal activity creating these outcrops millions of years ago to more resent times. Over time the quartz buried with in the deserts are then naturally weathered through wind and water shifting sediments during rainfall, but then over time this weathering, large water movements, hard work of us digging expose them once again for the eye to see and for explorers to discover. Materials that do not weather gold, silver and platinum can be found in these new discoveries and if lucky they will be in the form of a vein stretching for great distances. This rock is Igneous and is either Basalt or Gabbro. Whihin these rocks discovery we are looking for Eclogite a rare rock, if it to be discovered it will likely to be along the fault lines possibly located in our desert region of California along the faults of Landers and San Andres at reverse fault, oblique fault, and normal fault or thrust fault zones at tectonic locations. These rocks also are discovered near magmas that cool and crystallize quickly. 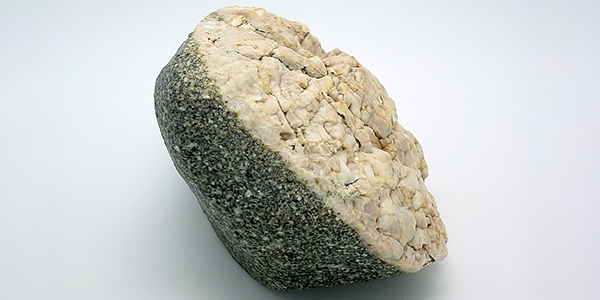 These tough Eclogite class rocks only occur through exposure to the mantel near or below the bottom of the earth crust surface, will have occurred only through tectonic movement rise and re appear near or at earth surface, this deep earth contact creates this class of rock to later rise for our future discovery. How to identify Eclogite when it freshly unearthed the rock appears as a red to pink garnet look with a green sodium rich pyroxene. Our excitement would be to come across (i.e. work really hard to dig up, though mining may be required) a crystal formation of Red Beryl, this is a cousin to the emerald family of stones, except the Red Beryl is one of earths rarest discoveries. When discovered Red Beryl was named Bixbite, after the person that made the discovery Maynard Bixby, but this was later renamed as Red Beryl, as it had a similar name to another stone named Bixbyite. This Red Beryl stone being so rare needs to be well and clearly described and to never be confused with other semi-precious stones like it did with its name association with Bixbyite. The Geode is hollow, vaguely spheroid to oblate masses of mineral matter. 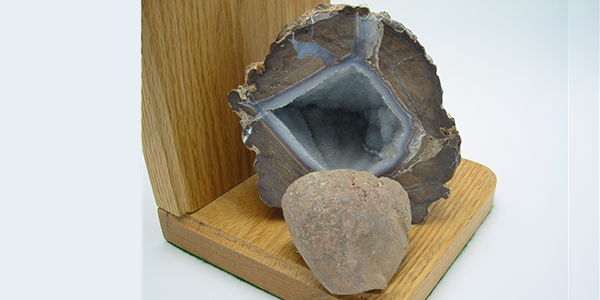 Geodes are typically found around basaltic lavas and limestone. It is far likely to discover a Nodules or a Vugs another open crystal formation. Both crystal formations are created by volcanic or sub-volcanic rock when minerals are added to the heat and pressure as geothermal processes occur trapping water. Hint when you pick up a rounded to oval rock from a riverbed dry or wet or just out scouting the desert mesa around a rocky outcrop, or near an extinct volcano and the rock feels unusually light (may be a Geode) it could be that it is hollowed inside hiding wonderful crystallization formations within. A geode, if split into (diamond saw it, do not break it open with a sledge hammer) two pieces it with expose an incredible and often colorful array of the crystal reengineered structures while retaining the non attention getting exterior (to the non trained eye) of any rock you pass by while out exploring. We are interested in Magmatic Dikes because they are often prehistoric magma driven knives that crosscut through tough granite and basalt, etc. that if unearthed through weathering, water flow, digging, can share that the dikes might contain elements to peak the interests of further exploration. Sedimentary Dikes are equally useful as well often vertical alternating course grain rock act like a knife cutting off layers of sedimentary rock acting as a separator or tougher rock that layers of sediments build up around, so vertical layer rock sediments cut through horizontal sediment rock layers, they are truly exciting to explore, discover what got itself trapped within these cuts. From our home and work we see nearest to us three hill and mountain areas that are about 4000 foot in elevation, tall right?, not really, because our sedimentary filled Yucca Valley floor or basin is already at 3.224 feet in elevation. Now you can read how we are so close it is easy to explore and see first hand what early planet formation during violent earth creation brings to us. Seeing these natural broken rock formations provides great inspiration into our designs that we draw, engineer, CNC program, prototype, machine, finish and coat all right from our place here in Yucca Valley. We do all of our work here in Yucca Valley because beyond just creating a drawing inspired by our desert environment, we also proceed forward utilizing these same views putting this daily inspiration into the work we perform resulting in the final product being created through a desert environment, this process is truly uplifting to the two of us. The story about us Lance Conway and Patrick Lara through some of our geological interests begins to take on a formation of its own, through sharing what inspires us, drives us and empowers us to make the precision machined products we make. As a pair of hobbyist geologists, we can share that tectonic plate movement, ancient volcanism, pressure, prehistoric heated outcrops weathering, and one that most excites us, the very unexplored harder material formations beneath convex locations here from the prehistoric earth formation process, long weathered and buried beneath great volumes of sedimentary materials. Also the two of the more popular recent and nearby active Landers and San Andres Faults mean all of these activities continue to play a roll during and after tectonic plate movements, in current geological time. Imagine that these activities continue taking place below our feet each day. 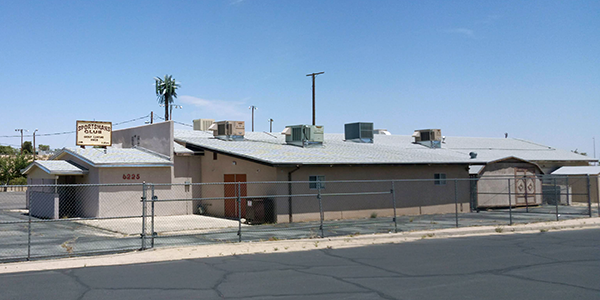 Now imagine what the quartz vanes in the surrounding Yucca Valley Area Mountains tell of great undiscovered riches and resources to someday be discovered. The mud pots in the southern end of the Colorado Desert are located at the vast Salton Sea area in Imperial County, Imperial County borders the Country Of Mexico and the United State of America and this is also where geothermal energy is harvested into electric power. Geothermal power generation is helping the environment through natural power generation. Tapping a geothermal reservoir provides a steady temperature of 700 degrees Fahrenheit. There is some truth about the geothermal industry generating power, but we find it interesting that they are also mining minerals. It is the minerals that are extracted during this tapping of the natural earth energy activity by the provided stream and boiling water that exposes waters very rich in precious minerals, sort of a two for one money generating project, how cool is that.